Five years ago if someone had told me I’d one day create a tasty way to make a Vegan Hard-Boiled Egg Crumble, I would have said they were crazy! And thanks to this super simple recipe, now everyone can make a Vegan Hard-Boiled Egg Crumble that has a similar texture and flavor of a traditional hard-boiled egg. But why would anyone want to ‘crack’ (hee-hee) the code on such a technique, you ask? Well, let’s begin with the health reasons. It’s no secret that tradition eggs laid by birds have large quantities of cholesterol which is eventually problematic for many. And then there is the fact that eggs are oftentimes the product of inhumane, industrialized and heartless farming practices. For those reasons, I prefer to skip eating them. But since I do occasionally miss the flavor of eggs, I set out to find alternatives. I ultimately created this substitute for hard-boiled eggs to make a plant-based version of a traditional seven layer salad. Nowadays, I include this Vegan Hard-Boiled Egg Crumble in my recipe for a scrumptious Vegan 7-Layer Salad. But my lovely salad isn’t the only way to use this tasty boiled egg substitute! 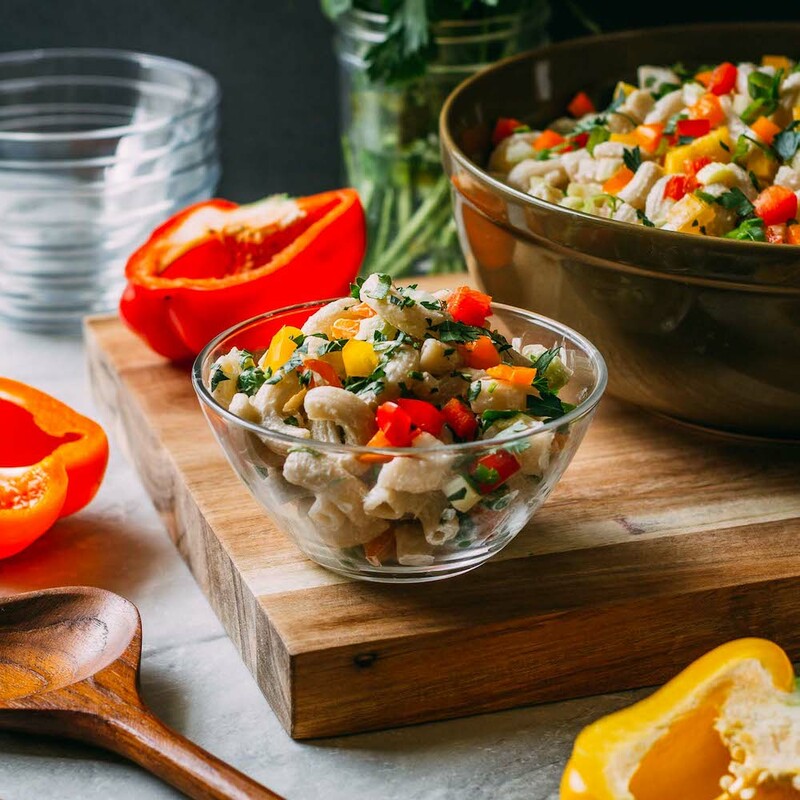 You can use my Vegan Hard-Boiled Egg Crumble to make a fabulously eggless egg salad by mixing it with all of your usual preferred egg salad fixings. You could also add a scoop or two of this Vegan Hard-Boiled Egg Crumble to the top of a crusty slice of toast along with some of my addictive Vegan Fakin’ Bacon. Top all that with a slice of avocado, and you are on your way to a delicious and nutritious cruelty-free breakfast with a boatload of comfort food flavor! 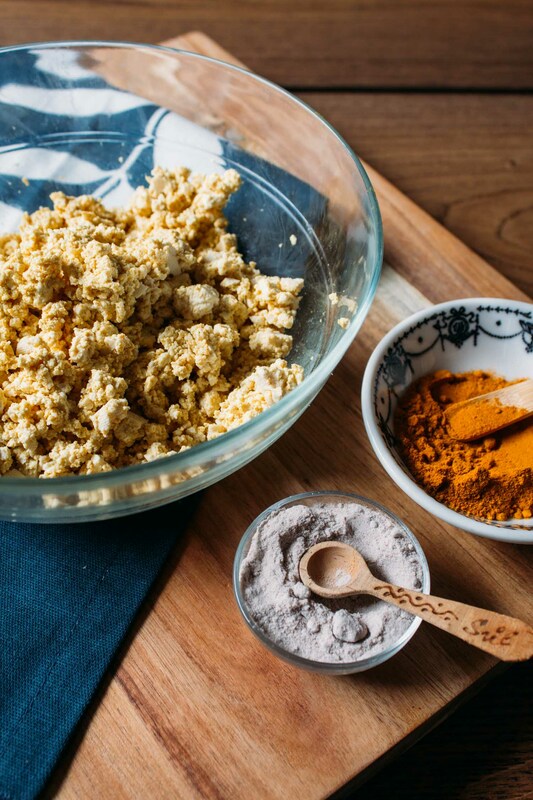 However you happen to use this Vegan Hard-Boiled Egg Crumble, you’ll not be disappointed! And be sure to catch this: I’m thrilled to share that this Vegan Hard-Boiled Egg Crumble is packed with a substantial amount of protein and has no cholesterol. Now those are some egg stats we can feel great about swallowing! Vegan Hard-Boiled Egg Crumble effortlessly plays the role of ‘egg’ in everything from eggless egg salad sandwiches all the way to the ‘egg’ layer in my Vegan 7-Layer Salad! 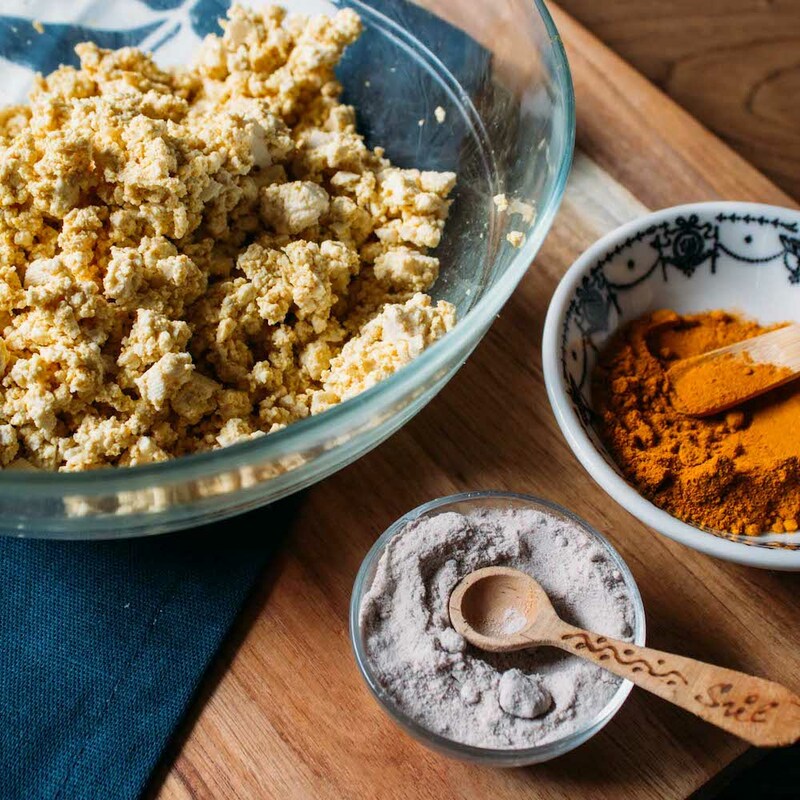 Mix up a batch of this Vegan Hard-Boiled Egg Crumble on the weekend and keep it in the fridge as a nifty breakfast protein add-on to the top of a slice of delicious avocado toast. Once you press the tofu, this recipe takes about two whole minutes! First, open the block of extra firm organic tofu and drain off the packing liquid to prepare it for pressing. Pressing tofu releases addition water from the tofu which helps it absorb flavors. 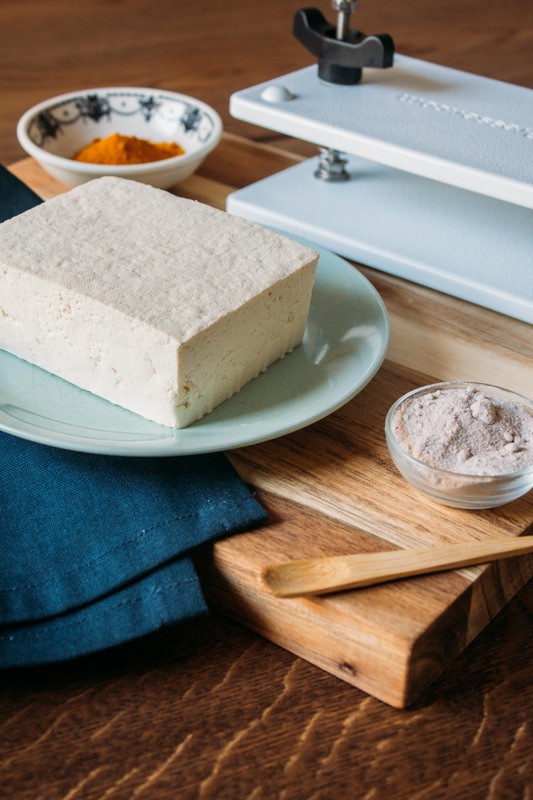 Wrap the tofu in a clean kitchen towel or sturdy paper towels. Place the swaddled tofu on a plate that is big enough to catch the extra liquid. Carefully top with either a heavy iron skillet, some other massive kitchen tool or even a stack of heavy books. Be sure that the stack is stable and understand that the tofu will shift a bit as liquid releases. Once the toweling is wet, and moisture has pooled in the plate, your tofu is ready for use in this recipe for a Vegan Hard-Boiled Egg Crumble. Fifteen minutes or less and it's ready to go! Before receiving a handy dandy and ever so useful tofu press for Christmas from my fabulous kiddos, this is the method I used to rid tofu of its extra liquid so that it absorbs more of the flavor from sauces and seasonings. Next, after you've pressed the tofu, gently crumble it into a medium-size mixing bowl using your hands. Now add the black salt and a pinch of turmeric to the bowl of crumbled tofu and gently stir to combine. The tofu will begin to turn a soft yellow color. If there are any chunks of white tofu remaining, use your hands to gently break down the more prominent pieces into smaller bits so that the seasoning more readily penetrates the tofu. Massage the seasoned tofu until it looks like the crumbled center of a hard-boiled egg. 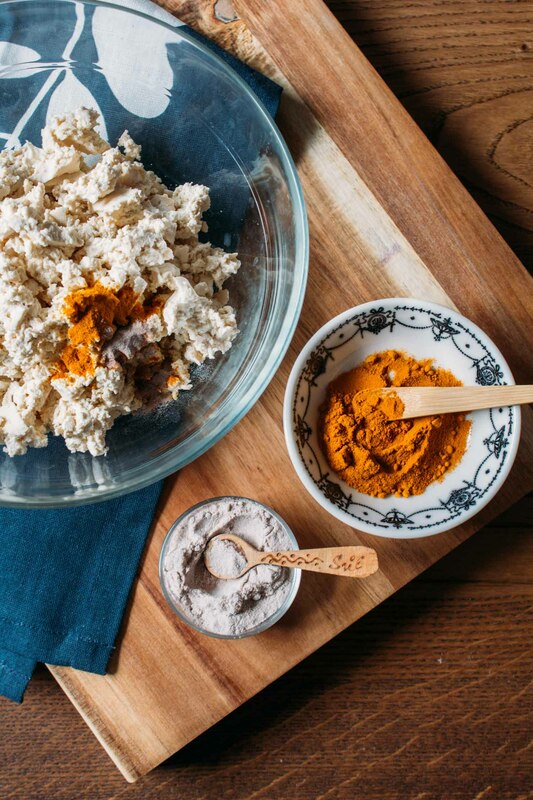 Taste a bit and adjust by adding a bit more black salt for egg flavor or more turmeric for brighter yellow color. This Vegan Hard-Boiled Egg Crumble stores well in the refrigerator, covered, for up to a week or so. 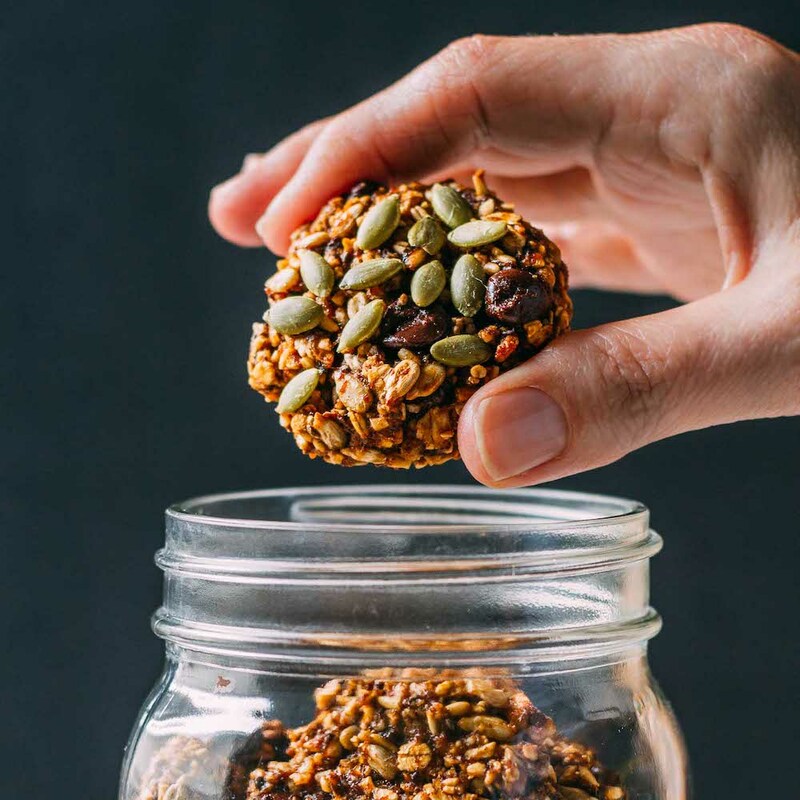 Low in calories with zero cholesterol and high in protein, you can use your batch of this Vegan Hard-Boiled Egg Crumble in the same way you would use a hard-boiled egg. For the longest time, I avoided cooking with tofu because it was just so unfamiliar. I found this article posted by The World's Healthiest Foods to be incredibly informative about the nutrients found in tofu and suggestions for its use and preparation. Though it may be a new type of salt flavor for you, once you try it, you will be glad you have a bag of black salt tucked away in the spice cabinet for future use. A little goes a long way, so it lasts a long time. Thank you, for sharing your positive experience, Kim. 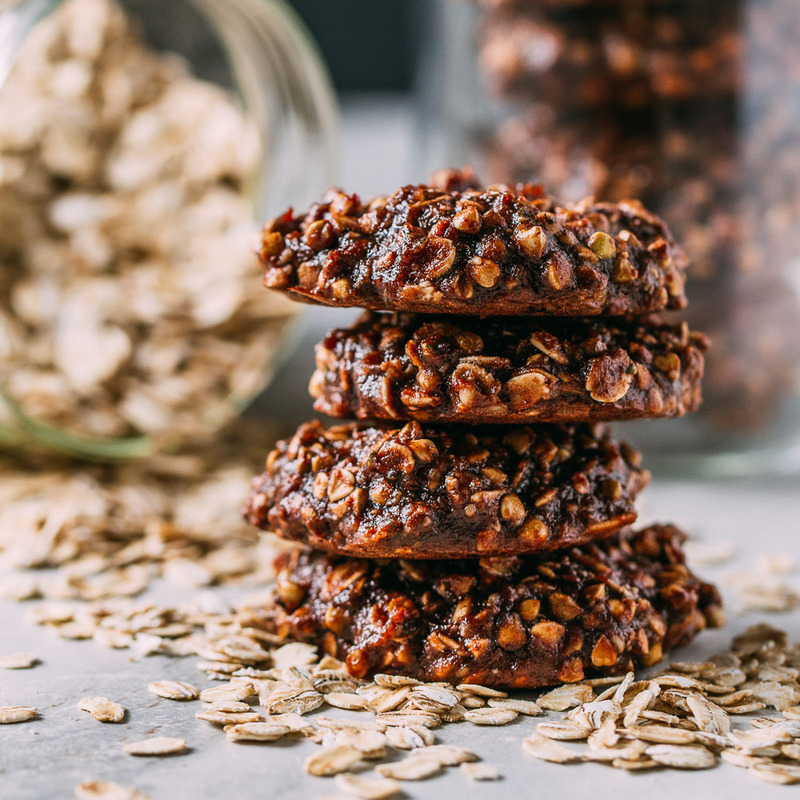 Life can be so busy sometimes which leads us to think that sharing approachable, flexible, and healthy doable recipes is possibly the most helpful thing we can provide.